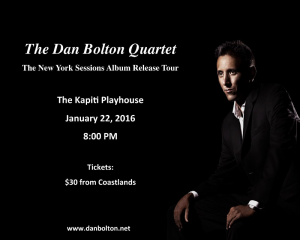 The Dan Bolton Quartet at Kapiti Playhouse - Kapiti Playhouse Inc.
Dan Bolton is a New York-based Australian jazz pianist who is touring Australia and New Zealand in early 2016 and wants to include Kapiti, where he lived for a time, in his itinerary. We are fortunate to be able to host Dan at Kapiti Playhouse on Friday 22 January at 8pm. Tickets, $30 each, will be available from 7 January from the Information Desk at Coastlands. Dan is a singer/songwriter/pianist with a unique sound that has taken him all over the world. His songs have been described as 21st century standards, incorporating elements of jazz, pop and Latin American styles. He has recorded three albums in New York: The New York Sessions, Volumes 1, 2 and 3, and will be releasing the albums on his Australasian tour. 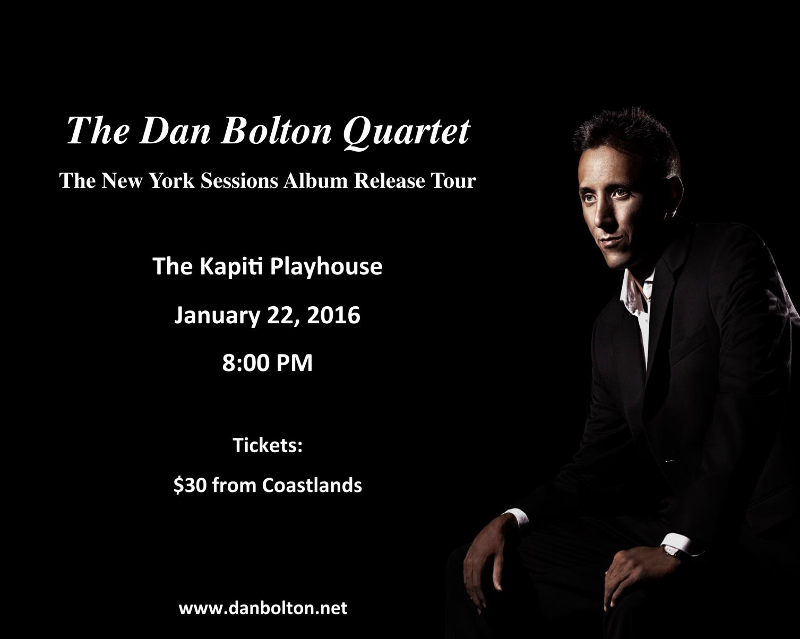 Dan will be performing at Kapiti Playhouse with New York-based drummer Mark Lockett and local musicians Johnny Lawrence on bass and Richard Thai on sax.